Been stalking these forums for a while now and wanted to start my own post in order to track my own progress and help with any questions or advice anyone may need if you are considering doing any of the same procedures as I am. 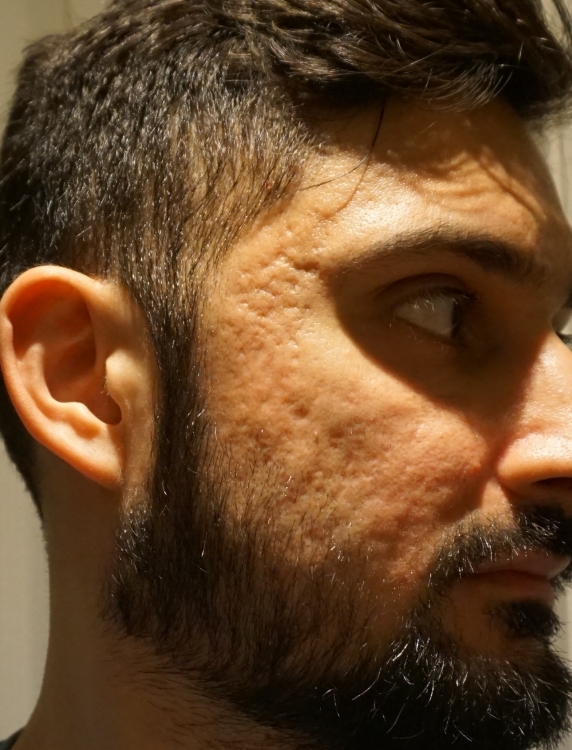 About me, I am almost 30 and seem to have acne and scars pretty much all my life, and now I am able to take some time away from work and want to get this sorted once and for all, not expecting perfection but hoping to see some improvement. I did dabble in a few peels and fraxel about 10 years ago but didn't do the full course for one reason or another. 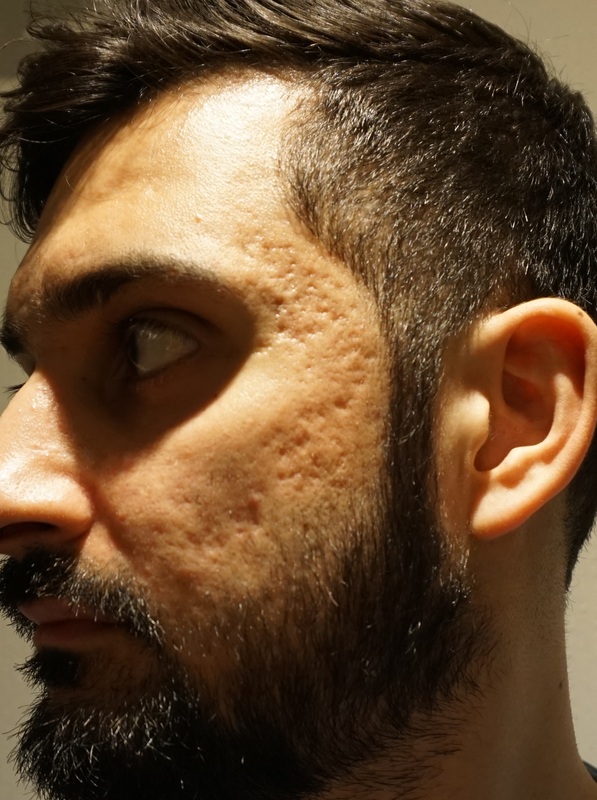 I went to the dermatologist in London keen on some TCA cross or full face TCA peels as seems that might be suitable for me, not keen on lasers. 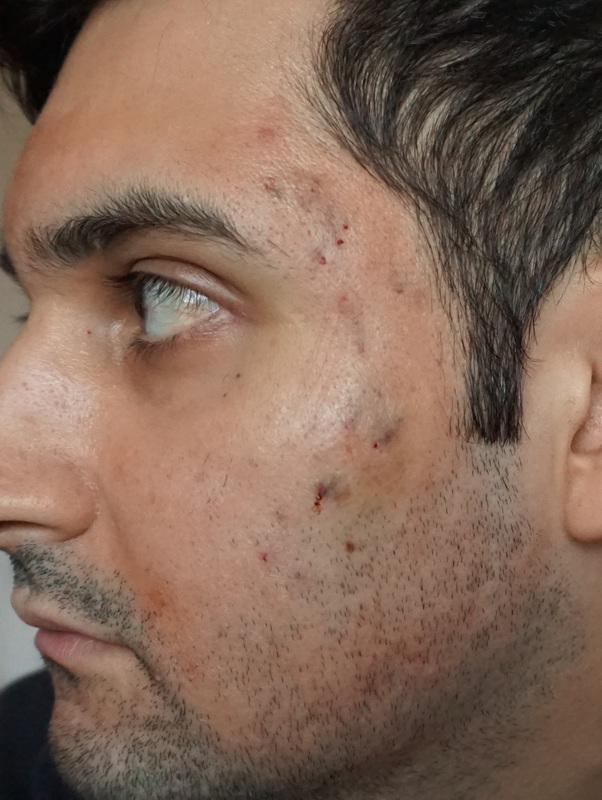 Spoke to the derm and he said best course of action would be subsicion, prp and dermapen (he said heated so may be rf microneedling but not sure) all together in the first session, then 2/3 weeks later to do TCA cross and then can decide what to do for third session. I am thinking of asking him to do subsicion and TCA cross on the second session. After reading through other peoples post I am also consider doing some suctioning after the third day, probably get some suction tool off of amazon and read more in terms of exactly what to do. Is there anything else anyone would recommend me doing in order to prepare or what you would recommend I get to use during my downtime? I have added some pictures and attempted to find different/the worst possible lighting so I am able to see if there are improvements and for reference. 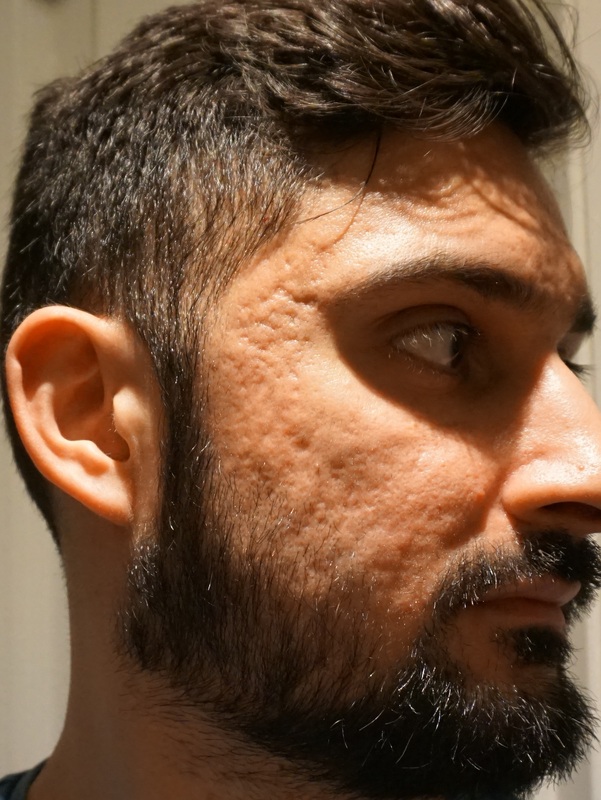 I plan to get rid of the beard so the derm doesn't miss any hidden scars! 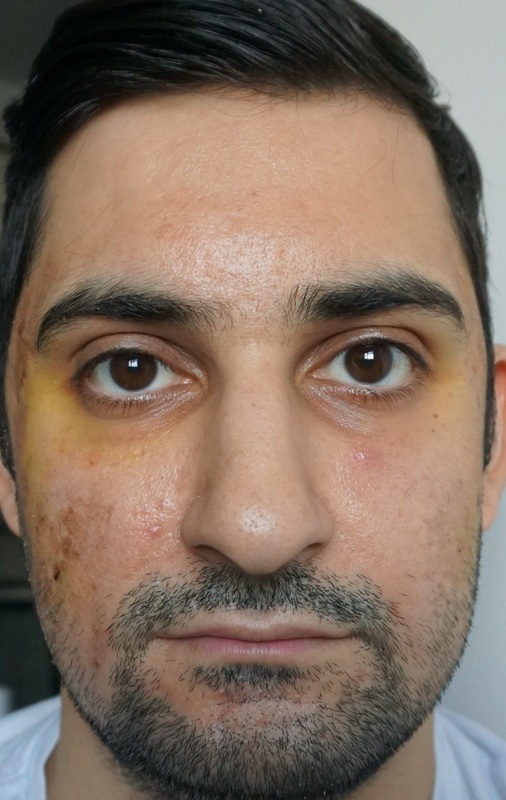 Spoke to the derm and he said best course of action would be subsicion, prp and dermapen (he said heated so may be rf microneedling but not sure) all together in the first session, then 2/3 weeks later to do TCA cross and then can decide what to do for third session. I am thinking of asking him to do subsicion and TCA cross on the second session. 1) It's quite obvious that you have tethered scars. The best course of action is subcision. You could ask for NOKOR on the cheeks and CANNULA on the temples. 2) PRP, in my estimation, is way overblown and not very effective when it comes to collagen stimulation. If it were me, I go for the cheaper alternative: Saline. 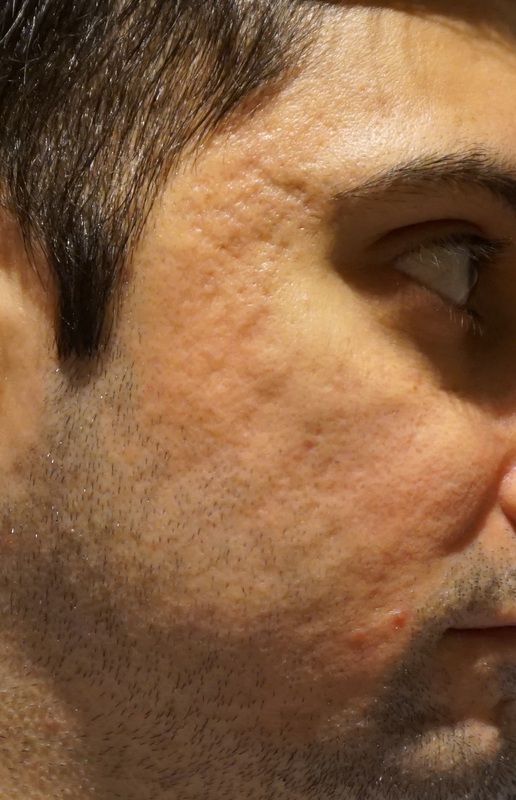 3) RF microneedling will come in handy later, but I would not mix and match with subcision. 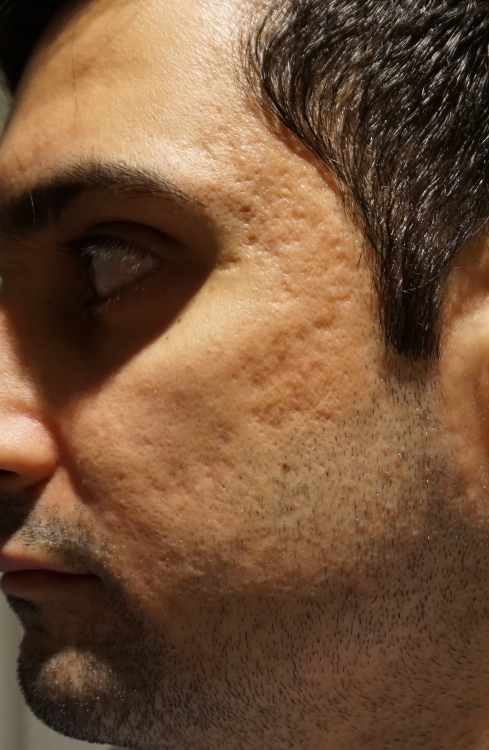 Moreover, RF is only good for mild to medium scars. It's better that you elevate the scars as much as possible with subcision (possibly more than 1 session). When the scars are sufficiently raised, only then should you consider RF. Lastly, I suggest you pair RF with Sculptra (dermal filler) for better collagen production (1 injection per RF). 4) Temples: Hardest to treat. Don't expect much improvement in the short run. Sculptra and RF will help. 5) TCA (and Erbium laser) will be useful for correcting any surface irregularities like boxcar edges. 6) WAIT AT LEAST 3 MONTHS BEFORE REPEATING TREATMENTS. Rushing treatments will only halt the collagen production. You have mainly textural rolling and boxcar scars. I would do Cannular subcision as you have scars all through out. You will need at least 3-4 sessions. 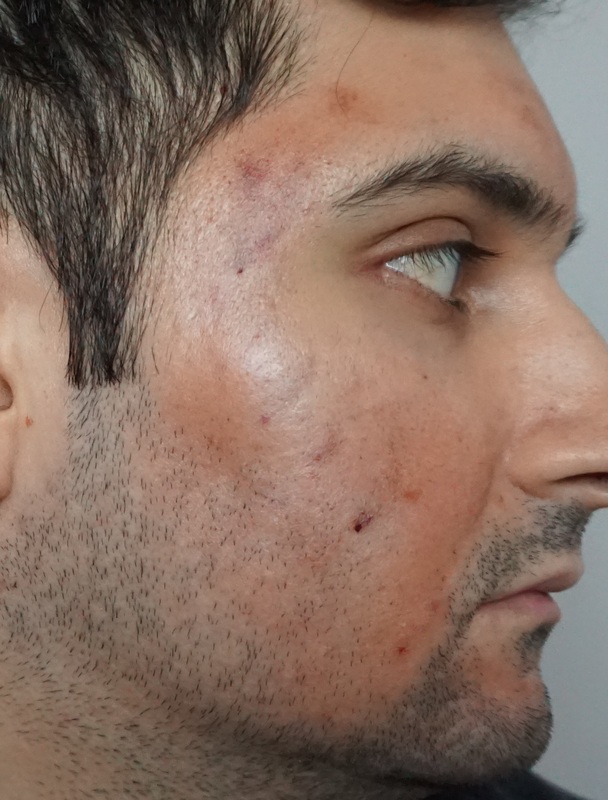 You can be injected with a vial of Sculptra. Between your subcisions do rf microneedling, this will stimulate the sculptra injections and work on your box cars. 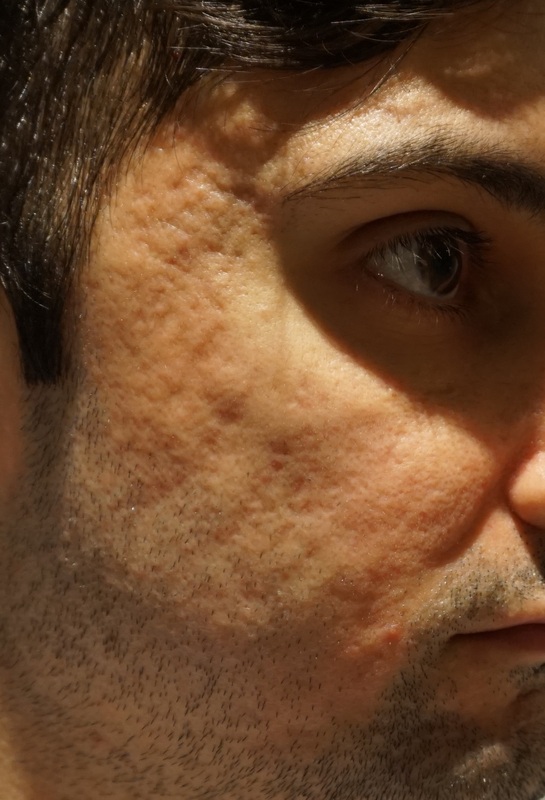 Wait 3 months to do rf microneedling. IF they do not have this, ... use CO2 laser 3-7% density and the highest power over the scar areas instead. If you need HA filler to spot treat individual pits, only do this later on in the treatment. I would then do erbium resurfacing or a deep acid peel for texture. Finally I would do some sessions of picosure for your skin discoloration. 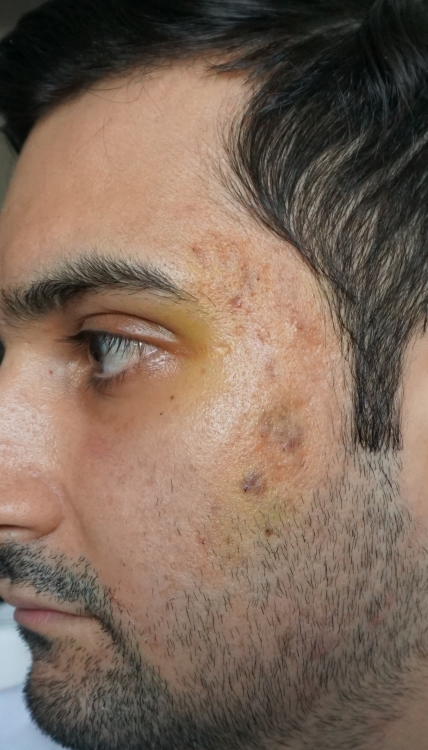 Because of your ethnic skin you will need to use retin-a/tretinorin/differin and a konjac albutin cream nightly, ... stop one week before treatment (This helps with discoloration). @beautifulambition @Sirius Lee thank you both for your responses and detailed feedback, much appreciated. 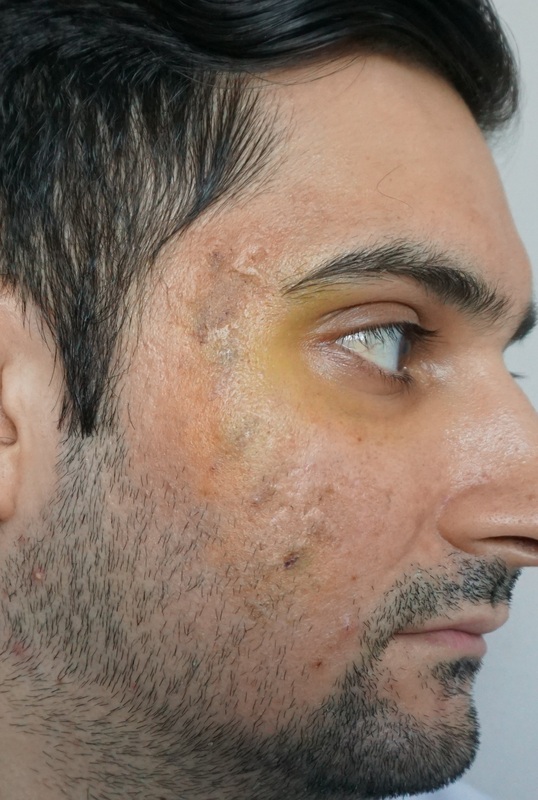 The derm suggested doing all three treatments together at once as he said that would be best for me, he didn't say I should do subsicion again after 2/3 weeks, I was thinking about that myself, he suggested only tca so perhaps that would be ok from his perspective as that is on the surface so shouldn't impact the initial subsicion. I feel I am more knowledgeable about this now so I will be sure to speak to him about all this when I go for the treatment. 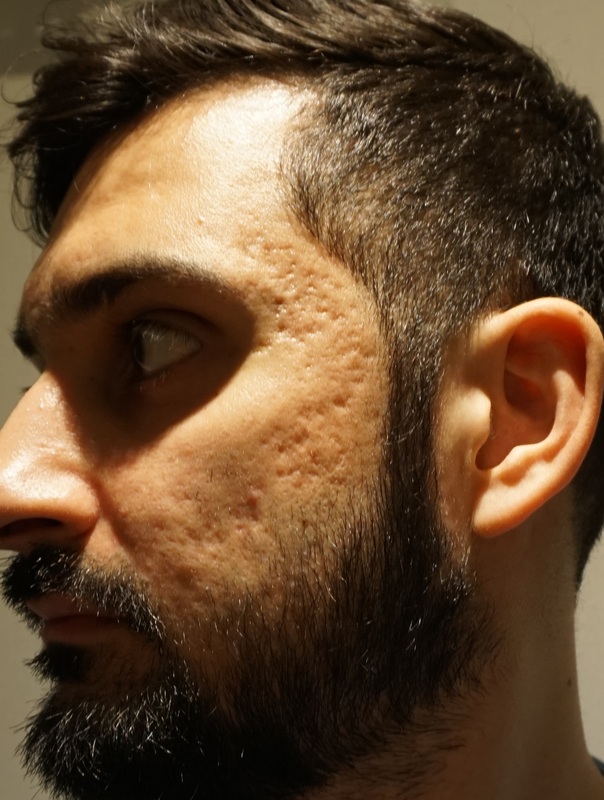 He did not mention anything about a filler with the subsicion, I will ask him about this, I was initially thinking of HA filler/skin booster and spoke to a dr about this, but thought I would try a more permanent treatment before and hopefully if I see improvements the fillers will be more impactful. You should post on RealSelf. It's free advise from doctors. I get this observation or response often.... The Dr said 1 week, 2 weeks, 1 month and you said 3 months. The body is notoriously slow to heal. Collagen formation takes 6 months. This is known from many studies. Over treatment too often and too soon can damage the fragile new collagen. It also puts you in a constant state of swelling. The model works for Drs right, swelling makes things look better so they can say come back for more treatments sooner, or you need more of this (in a quicker time period). One can not observe what worked and what did not work (treatments), how the body is healing, and the true outcome. I advise for Dr based treatments to schedule every 3 months. Tell them you will call them back to schedule, or cancel and reschedule. When we stack to many treatments at once I do not feel this is beneficial. It makes since right. More money quicker for the Dr. Dr E___ in Hollywood is notorious for this. 5 treatments at once, with follow up appointments close together. The patients must goto other Drs to be fixed who often have trouble because they don't know what specifically is causing all the problem (collagen destruction, mixed fillers needing flushing,side effects, reactions, allergy) . Some are very slow to heal, ... so slow they are healing for 6 months, it also depends on your healing ability and health. Many acne scar suffer have sensitive skin. Why would one paint a house without prep or primmer. The point being why work on texture when your working on volume deficiency. One would surface their scars as much as possible before working on texture. They do not fill the roads by laying down the top layer first, ... no they fill the pits (potholes). You definitely need filler with your subcision. Many pits going on here. 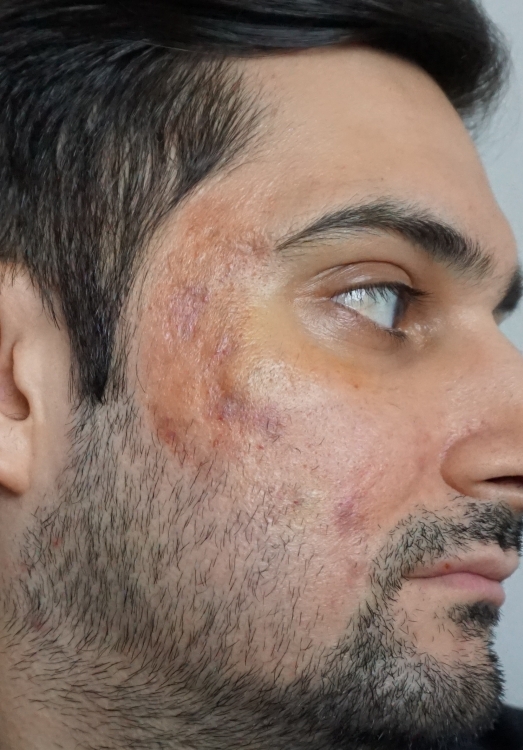 If you wish to start with sculptra or prp you can and move on to HA filler later on in the treatment for individualized scars. It sounds like your Dr is not a acne scar specialist,... perhaps a general derm. I would get 2-3 recommendations from other plastic surgeon's and dermatologists even if you have to pay for consultation. Then you can be confident about your choice. The reason Scultra was mentioned is because a vial (or more - it depends on the the case), before rf microneedling provides a collagen boost. One of course can do filler, saline, or prp (from blood - growth factors) as well. HA filelr is a volumizer, Sculptra provides collagen formation to the whole area. Treat when you have time and money, see what works, stop at any time. Had my treatment yesterday, very painful despite the numbing cream which I do not think actually does anything, not for me anyway. Had subcision, prp and dermapen, had lots of bruising during the procedure with the subcision around my temples due to the severity of my scars, and left the blood from the prp on my face at the end of the procedure. 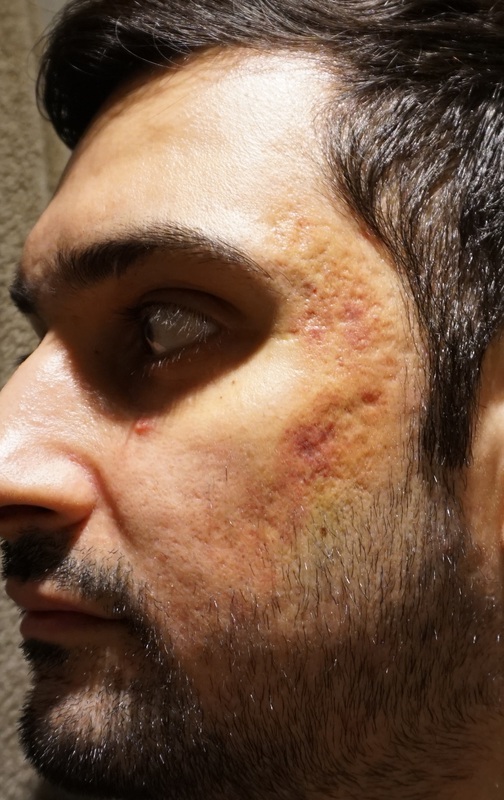 Face is very sore and swollen at the moment, can see bruising and redness/tightness from the dermapen for which he also put the prp blood on my face whilst doing. I was planning on doing suctioning at home after the third day as advised by the study and this forum, but I think I may wait a few more days due to the soreness and swelling. 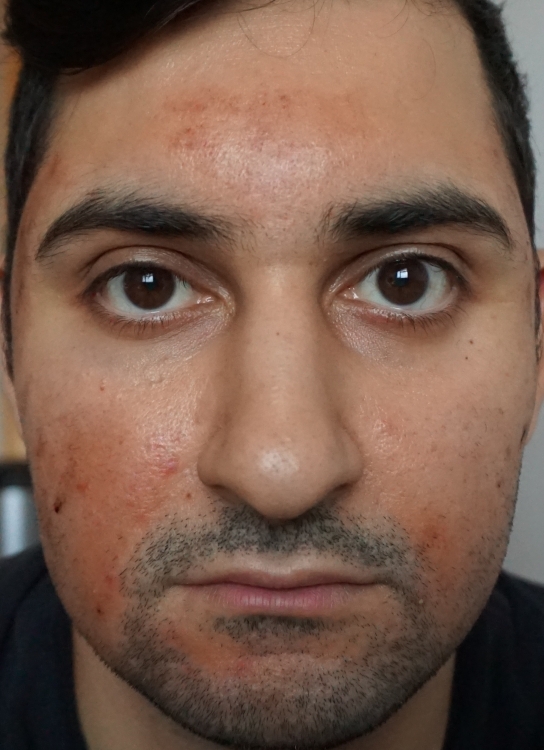 Attached pictures, which are 1 day after the treatment after washing the blood off my face and applying sun protection. Good luck and hope you are healing well. Looking forward to hear how your skin respond to the treatments! The filler at this point wouldn't be for temporary volume rather to prevent the released scar tethers from retethering by acting as a spacer. Looks really pretty good. Could you please tell use the name of your doctor in London. Good luck and heal well ! @Skyblue2073 I did ask about filler but he advised the prp would be better to use and help promote collagen, whether this is true or not I am unsure and will see, I do however plan to do suctioning, but at the moment my skin is all dry and flaky from the dermapen so will wait a few days more. 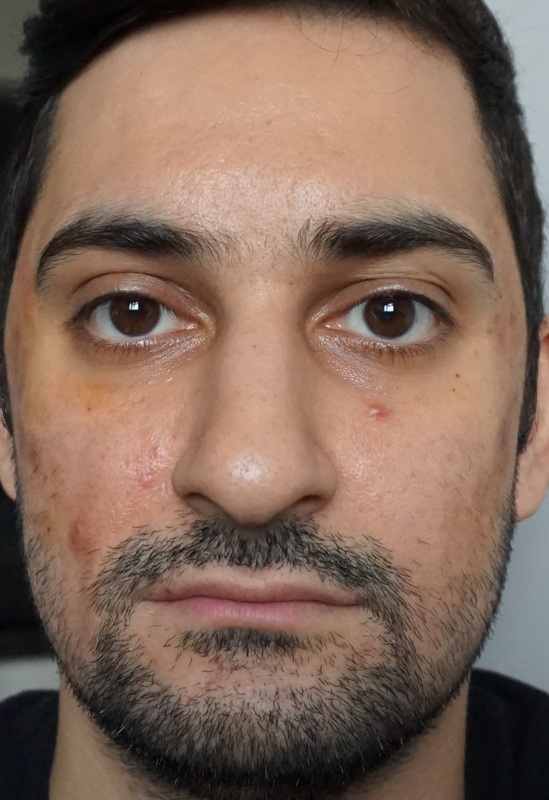 @andys_01 I went with Dr Anil at the west london dermatology centre, this is the same place Dr Chu is based who is highly regarded on here, they do the same treatments and methods. It has been 4 days since my treatment, swelling has gone down so that I no longer look like a chipmunk, still some more to go as I can gradually see the reappearance of some of my scars. Skin is still very dry and flaky, which I am moisturising/sun tan lotion in the hope it does not peel off and just flakes off naturally. 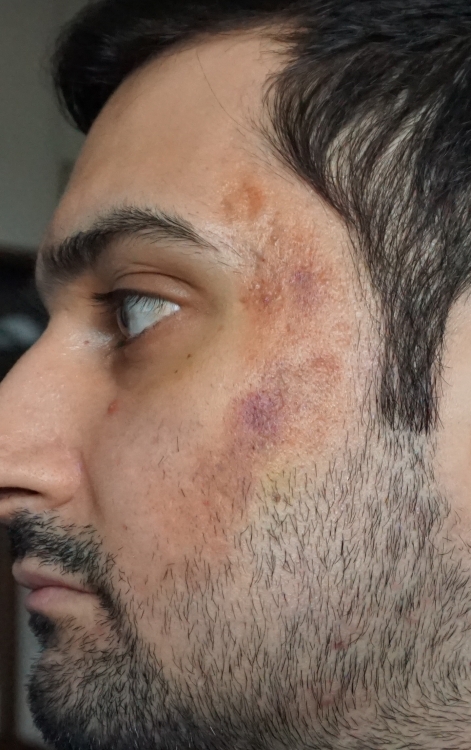 Main issue at the moment is the bruising and I am looking VERY yellow around my eyes and temple area, guess this is just part of the healing process for the bruising. Still have not done any suctioning due to the dry skin and scabs which I hopefully will be able to start in a few days. @Kratosandboy Yellow is normal this is bruising as you know. Even guys can get something like dermablend concealer and put over it during healing. Please be prepared cupping makes bruises this is by design to forum scar tissue under the skin. So something to cover it might help. Vitamin K is good for bruising. @beautifulambitionhow soon after subcision can you wear dermablend? @Maxzide Right away once wounds are closed. little goes a long way. Yes subcision causes bruising. Sounds to thin of a application for powder. Yesterday was 1 week from my procedure and I took the below pictures. Most of the swelling seems to have gone down and no more dry skin. Seeing the re-emergence of my scars but I think I do see some improvement, whether this will last, or further improve I shall wait and see. I am still yellow around my eyes and temples, The majority of the redness and bruising is due to suctioning, whether I went to strong I am not sure (these were taken in the morning before doing any suctioning). I will suction today for the last time and let it heal. 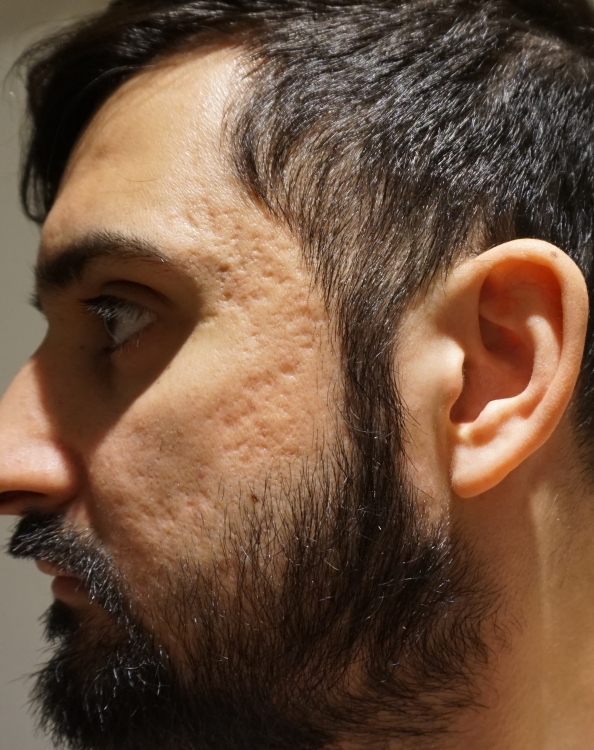 I have taken the below pics also under the harsh bathroom light to highlight the scars which doesn't tend to show under natural light. @ Kratosandboy ... Thank you very much for your response. I would like to come to London from Frankfurt /Germany. Do you think that after the procedure (subcision) or day after will I be able to flight back ? (about 1 hour flight) .... Could I ask for the price please ? @andys_01I think on the day would be difficult to as will be very sore, day after should be fine, take a look at my pictures above from the day after the procedure to give you an idea, probably will get a few stares but oh well! the treatment and consultation cost me £375, and said subsequent treatments will be 375, however depending on what I want may be less. 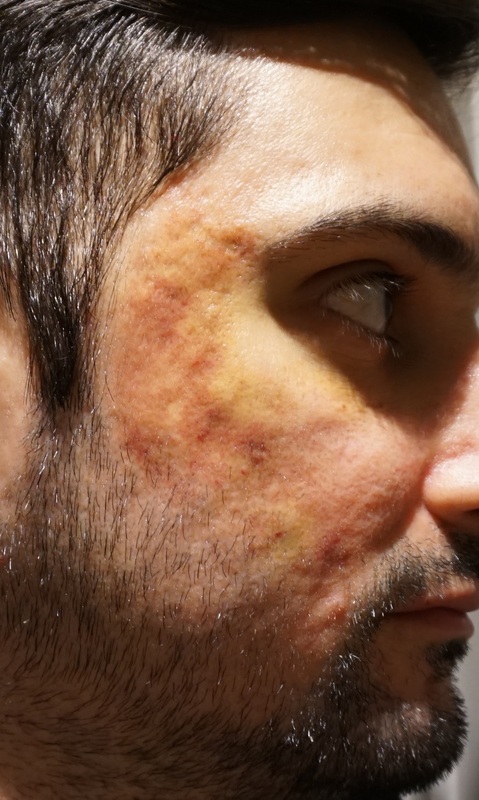 It has been 16 days since my treatment so all the swelling and bruising has gone, not really seeing much improvement when I look in the mirror, hopefully will continue to get better with time and subsequent treatments. 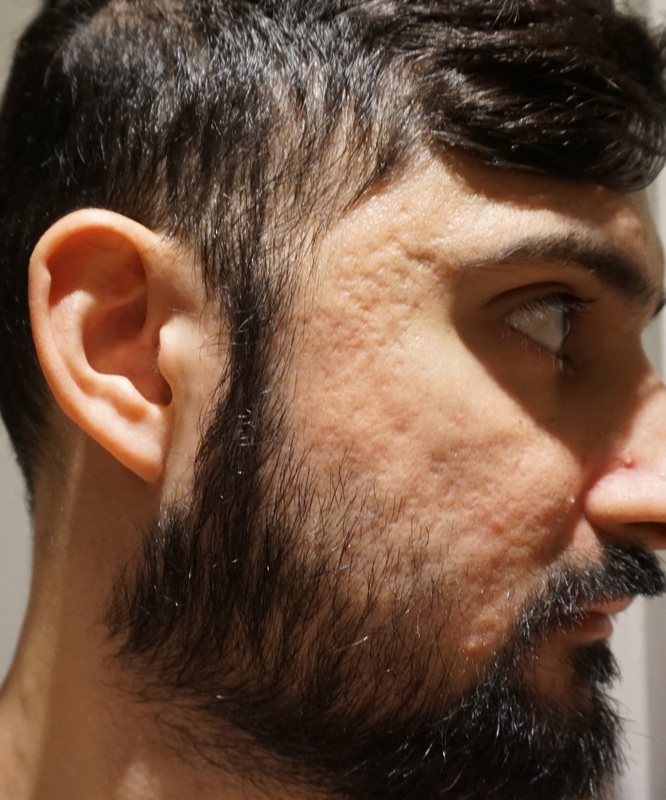 have tried to take pictures similar to those I took initially, which is harder than it seems, some pics depending on the angle and lighting seem to make the scars not look as bad as they are (in my opinion and especially on the right side) so I have tried my best to keep it all consistent. It is look much better than before. If you you repeat the treatment 2-3 times I would say the result will be perfect. 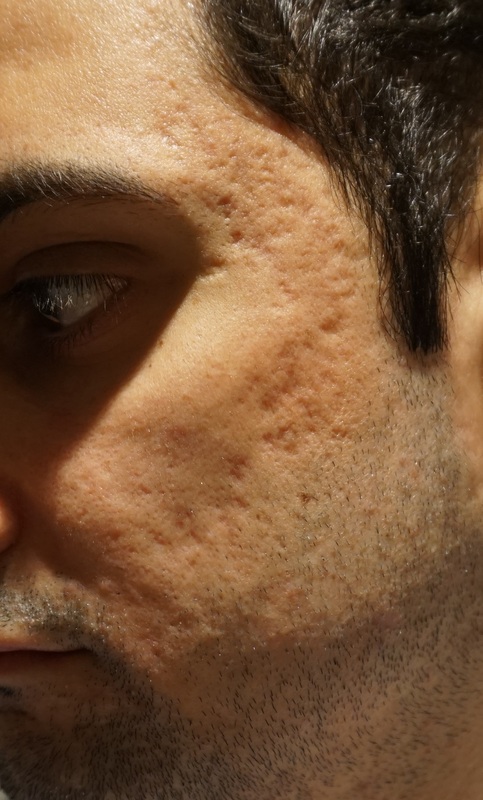 Do the make in west side dermatology the laser tratment for acne scars as well? And are the no scars in the point where the nokor needle penetrate the skin ? Thank you for your posting and all the best to you ! There's definitely improvement, maybe like 30%+ improvement but microswelling can last up to a month so lets see if the improvements stay. No i don't think there are any scars from the needles, the only annoying thing I have noticed is there seems to be a little raised bump on the right side which can be a side effect, so hopefully this goes down with time. yes I believe they do lasers there also. Hello, could you update please?